We at Magic Carpet Cleaning in Palmers Green can offer you a professional cleaning service for carpet or rug of every type, shape or size. You can be absolutely sure in the expertise of our carpet cleaners in your area. Whether your carpet requires a deep clean or light cleaning services, we have the right people and most advanced steam cleaning equipment. Our technicians can get every job done the first time and deliver fantastic clean results for your home. 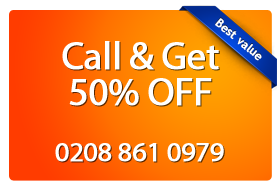 Just give us a call on 020 8861 0979 and get your free price quote. You can reach Magic Carpet Cleaning on 020 8861 0979 or via our online form. Our back office support staff work 24/7 for your convenience. Claim your free price quote before you book a service with us. Our estimate is free and comes with no obligations for you. Our friendly team can answer all of your questions regarding our professional rug and carpet cleaning services in Palmers Green as well as tell you more about our terms and conditions. When you want your home rug or carpet cleaned by a team of local technicians call Magic Carpet Cleaning now!